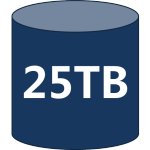 The IT department for one of the Big 4 audit, tax and advisory services firms reclaimed 25TB of dead disk space with PerfectStorage‘s automated Smart Zero Fill storage space reclamation, analysis and reporting software, returning 3.5% of total space to their storage pool of 700TB thin-provisioned SAN – a huge savings for storage expenditures and administrative time – and without any downtime or impact on SAN performance. To understand how this works let’s look at an example. A user has a thin-provisioned guest that is using 100GB. He adds a 400GB log file on that system growing the virtual disk to 500GB and committing the additional storage on the SAN. A few days later the user deletes the log file but the thin-provisioned guest stays at 500GB and the storage remains committed. There is nothing in Windows Server 2003 or 2008 that tells the storage the 400GB has been deleted so the space remains committed but not usable. In effect, it is dead space. The Zero Detection technology identifies zero-filled free space on a thin-provisioned disk and communicates that information to the SAN where the zeroed space can be reclaimed. PerfectStorage can either Zero-Fill space or issue SCSI UNMAP commands depending on what the user’s storage platform supports. PerfectStorage works with SANs from all the major storage vendors that support Zero-Fill and/or SCSI UNMAP commands. PerfectStorage provides an estimate of how much space can be recovered allowing administrators to plan reclamation on servers where it will do the most good. Smart Zero Fill technology is a huge time-saver which only zeros out free clusters that are not already zeroed. PerfectStorage is safe to run in production environments — no downtime required. PerfectStorage is an intelligent storage management solution for thin-provisioned space reclamation that improves productivity, allows for better storage management and forecasting, and delays future storage purchases. It has a console that supports the deployment of the client to the targeted Windows guest systems. An IT facility for one of the largest professional services companies in the world started using PerfectStorage to manage the growth of their virtual machines, as 60% of their site is virtualized using HP Blade servers and VM bloat was proving costly over time. “We have started using PerfectStorage to get rid as much as possible of the dead space in our 700 TB of thin-provisioned SAN. “The jobs for zeroing will usually run over the weekend but because of the maintenance window we had developed a 24-hour schedule from Friday to Saturday where we run it on approximately 60 servers. We have done extensive testing and tuning to accommodate the zeroing activity in most of the servers but without impacting the SAN performance as there are other operations running over the weekend and critical applications. As a result of running PerfectStorage, 3.5% of their total storage has been returned to the storage pool. That’s just like buying new disks, but less work to get the space operational. 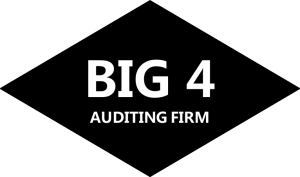 Remarkably, PerfectStorage enabled the Big 4 auditor’s IT department to automate the return of 25TB to the storage pool without any downtime or impact on SAN performance, even while critical operations were running. Learn more about automating space reclamation with PerfectStorage.